Siobhan Russell got this beautiful picture yesterday morning. The sea is under 10c and closer to 9c at times, but the calm conditions have been a bonus. Heading for the Dutchman – Myrtleville, December 4, 2014. Not looking as good for next week, but we’ve got 08.15 tomorrow and the Turkey Swim on Sunday at 11.00 to look forward to before then. As an add-on to the post on swimming in cold water, Donal Buckley has done a great post this week on what to expect as you swim in the colder sea for the coming months and how the blood flow to the limbs and skin is restricted. Peripheral vasoconstriction it’s called, but he makes it easy to understand! 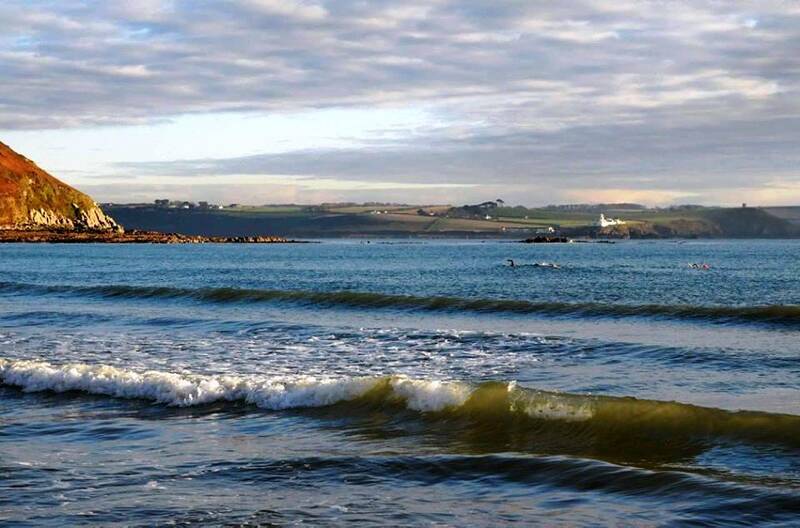 This entry was posted in Information and tagged Cold water swimming, Open water swimming - Cork, Open water swimming - Cork - Ireland, Sea swimming - Cork, Sea Swimming - Cork - Ireland by myrtlevilleswimmers. Bookmark the permalink.